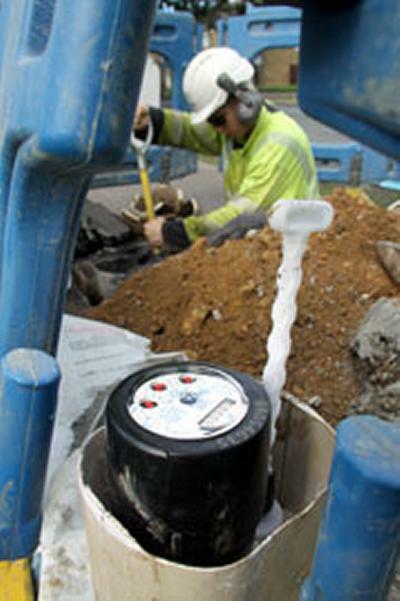 University of Southampton research has shown consumers reduce their water consumption by 16.5 per cent after they receive a metered connection based on the study of a five-year programme to install nearly half a million water meters in the south-east of England. This reduction is far more than the national average of ten per cent and is mainly achieved very quickly after a meter is installed. The research also shows that people cut down their consumption very early in the switching process, even though metered charges aren’t activated until after three months. In the second month after the installation of a meter, consumers saved an average of 37 litres per day. In the third month, they saved an average of 50 litres per day. The reductions continued after metered charges kicked in, albeit at a slower pace, reaching an average saving of almost 70 litres after the fourth bill – or two years of metering. The researchers examined four different stages of switching to a metered programme: meter installation and switch of contract; the first three months after switch of contract; the first bill after switching; and subsequent bills every six months. By comparing data with households not in the UMP programme, they were able to compensate for seasonal differences in water consumption, geographic variations and economic conditions. Chief Customer Officer at Southern Water, Susan Stockwell says: “We would like to thank our customers for their support and efforts in reducing water usage. Across the region, by the end of the five-year programme, customers will be saving more than 30 million units of water every day. These results will be updated as new data become available and the Southampton researchers will continue their work by exploring the motivations behind consumers’ water saving actions in more depth. To view the study authors’ findings, please visit here.